Everyone has a story about bulky waste. The sofa in the garden, the mattress at the bus stop, the fridge in the parking lot. 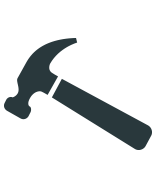 A quick survey of researchers and staff at the RSA uncovered a plethora of anecdotes, mostly told with enthusiastic exasperation. Matthew suffered from a large sofa blocking his hallway that the landlord had promised but apparently ‘forgotten’ to remove. Jonathan was plagued by guilt in having to take a child’s mattress to the dump which was almost-new, apart from a small stain which meant that the local charity wouldn’t accept it. And grow fast it has. In the UK we now produce around 1.6million tonnes of this large-item waste stream every year, and most of it still ends up buried in landfill or burnt in an incinerator. In September, the Great Recovery will launch a report, ‘Rearranging the Furniture’, about our design residency project run in partnership with SUEZ, a waste and recycling company, and focused on furniture waste. 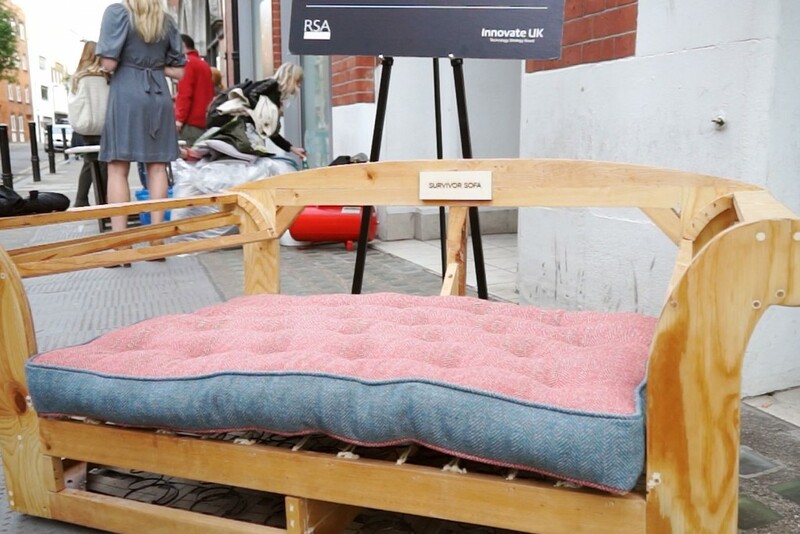 You may have already watched the Survivor Sofa Story, read our blog about Clerkenwell Design Week or seen the project on twitter (#survivorsofa). The brief was to conduct an exploratory, observation-based ‘residency’ with four designers over ten days, gathering insights and learning from experts whilst at the same time providing ideas on how product or indeed system redesign could enable more furniture to be reused rather than scrapped. In enabled the designers to learn valuable lessons about the end-of-life destinations of some of the products they were creating, and to provide some valuable design thinking and ideation to the processes of waste disposal that they witnessed. 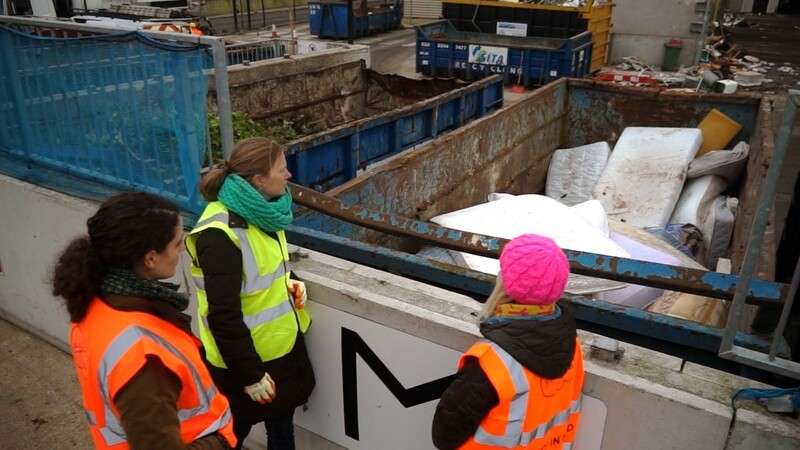 Over the ten days, we visited a community recycling centre (formerly known as a civic amenity site or ‘the tip’!) in Leatherhead, various sorting and retail outlets of the Surrey Reuse Network, and went behind the scenes at IKEA. We spoke to experts from the national Furniture Re-use Network, the SKA rating programme for commercial interiors, and the pioneering waste team at Warwickshire County Council. And we also conducted a ‘tear-down’ exercise on a sofa from a high street store that we fished out of the landfill skip (in great condition but missing its fire label and therefore not re-sellable by the reuse charities). 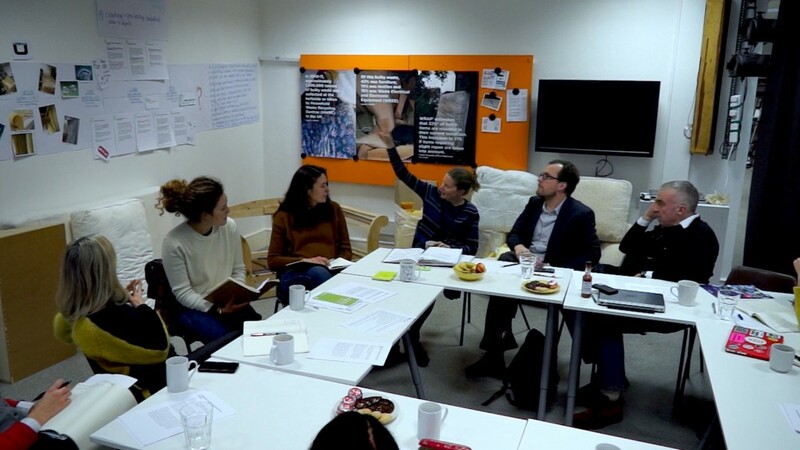 Finally, we convened a roundtable discussion between designers, waste managers and other stakeholders at Fab Lab London – closing the loop at least conversationally on our furniture waste. As you will see from the report, the project has not provided a silver bullet or final solution to the problems of bulky waste. What it has done, however, is to draw attention to and explore these issues from a new perspective, to engage with a new audience, and to provide a very practical expose of the untapped value in our living rooms. And the project didn’t stop at the 10-day residency. It was picked up by Camira, a UK-based textile manufacturer who wanted to develop some new fabric for our ex-landfill sofa using waste offcuts from their own suppliers. The next stop was Clerkenwell Design Week, where we got members of the public making buttons for the sofa and talked to them about the challenges of designing furniture for a more circular economy. The sofa is now on display at RSA House (please come and have a look and a seat!) and will form part of our display at Fab Lab London during London Design Festival before being loaned to Camira for an exhibition in the run-up to Christmas.